It is the fourth Airbus 320 that the airline has received this year. Cebu Pacific Air’s brand-new Airbus A320 arrived at the Ninoy Aquino International Airport last October 30 and is the airline’s 9th aircraft that comes equipped with Sharklets. 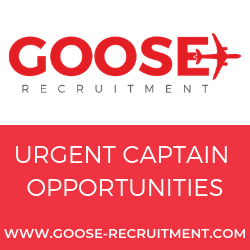 The airline is due to take delivery of another Airbus 320 this November 2014. 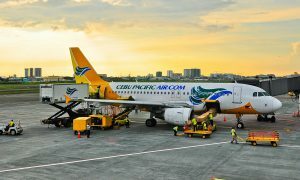 “The addition of fuel-efficient Airbus A320 aircraft to our fleet enables Cebu Pacific Air to continue offering its trademark low fares to even more passengers in our extensive route network,” said Atty. Juan Lorenzo Tañada, VP for Corporate Affairs. 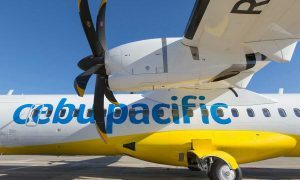 With this delivery, Cebu Pacific Air now operates a fleet of 51 aircraft comprised of 10 Airbus A319, 28 Airbus A320, 5 Airbus A330 and 8 ATR-72 500 aircraft. Between 2014 and 2021, Cebu Pacific will take delivery of 10 more brand-new Airbus A320, 30 Airbus A321neo, and 1 Airbus A330 aircraft.